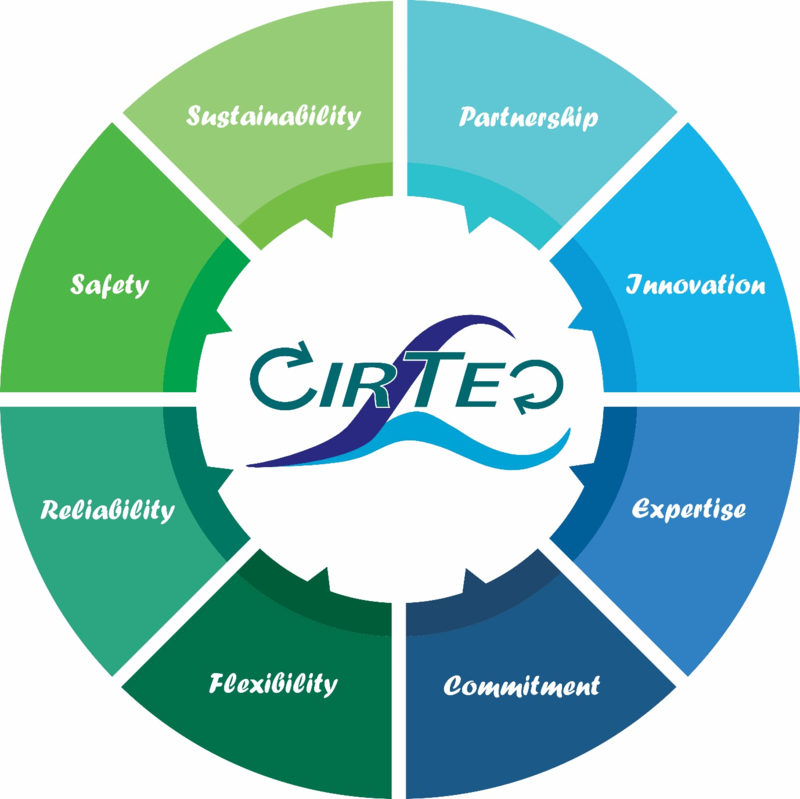 About us - Cirtec B.V.
With both proven and innovative technology, we are able to provide the most appropriate solution for a large number of environmental issues. Waste recycling, re-use of materials and recovery of low-grade energy are key to our solutions. Through research and collaboration we look for new ways to solve existing problems in a more sustainable and economical way. We are active in the municipal and industrial market worldwide and focus on the treatment of wastewater, drinking and process water, biosolids, sludge and gasses. Separation and thickening of solids and liquids are also part of our core activities. With our extensive knowledge and experience about (biological) treatment processes, we can assist you in designing or upgrading your entire treatment plant. We support our products with service and maintenance contracts and operational support. Furthermore we can manage your spare parts. Energy saving and re-use of materials are crucial to maintain a good and healthy environment for future generations. The water technology market has become more dynamic and there is a growing need for specialists with knowledge of integrated and/or total solutions. Cooperation and knowledge sharing are key to progress. CirTec meets today’s needs with the future in mind. The company helps to promote and to develop re-use of waste materials. We strive for access to water and wastewater services for all. We recover resources, constantly reduce the environmental impact of our activities and promote eco-citizenship. designing and building wastewater treatment plants. build and utilise a global network developing our technology. We innovate to make water treatment more sustainable and more economic. We create value for our customers and reduce the environmental impact of human activities by recovering resources from sewage and by reusing low-grade residual energy. To maintain a healthy living environment, it is crucial that we reduce waste disposal and encourage the reuse of valuable components. CirTec contributes to this by developing and marketing technology that makes water purification more sustainable. We design and build, both nationally and internationally, purification systems for water boards and industry, aimed at recovering raw materials and reusing residual heat. At the moment we do not have any vacancies, but we would like to get in touch with candidates with a relevant education and work experience that could suit our company. In that case you can send an open application to info@cirtec.nl.